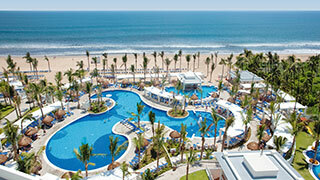 Sunwing will launch a new weekly flight service from Regina to Mazatlan this winter. Beginning 21DEC, 2017 and running weekly until 29MAR, 2018, Thursday direct flights will be offered exclusively from this airline to the Mexico destination. “We look forward to continuing our successful partnership with Regina airport this winter. Mazatlán is becoming an increasingly popular vacation destination for Canadians, so we’re excited to continue helping our customers save time and money with this convenient flight service,” said Andrew Dawson, President of Tour Operations. Sunwing offers a range of accommodation options in Mazatlan including the family friendly El Cid Marina, and RIU Emerald Bay.